These newly listed shares are poised to advance based upon our findings . The company has a superior management team in place , several valuable properties, and a large capital infusion . We urge our subscribers to seriously consider all aspects of this company. The Board of directors and Management Team have a wealth of experience with respect to the exploration and development of mining projects. They provide strategic direction to ensure long term growth. Find out more about our management team, including their background and experience. The permits and approvals required to conduct the work at Firegold Mining property are specified in the DRC Mining Code. Such permits and approvals have been obtained. 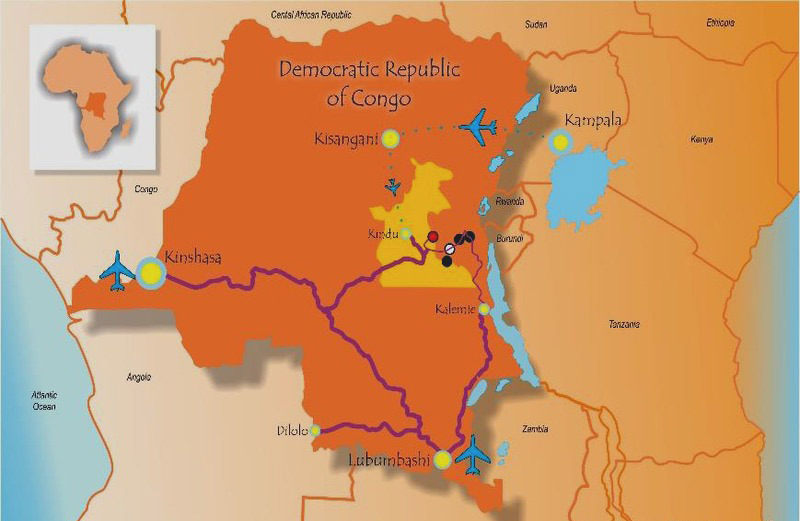 Firegold Mining has acquired through four exploitation permits (PE), the exclusive mining rights provided by DRC government. These exploitation permits give Firegold Mining exclusive rights to carry out exploration, development, construction and exploitation works for a period of 30 years, renewable. Our Concessions are located in a region that also hosts Twangiza project from Banro Corp., Vector Resources LTD., Kibali project of Rangold Resources, Ashanti Gold and others. The location of the Tamarack Gold Property is approximately four (4) miles northeast of the town of Sheridan, Montana located in the low rolling foothills of the Tobacco Root Mountains. The Tamarack Gold Property has been explored since the 1860’s with intermittent small scale production starting in 1875 to current times. the property upgrading capabilities from 60 tpd (tons per day) up to 300 tpd . MiningNewsReporter.com is a subsidiary of Target Publishing Inc, and is a leading publisher of todays market and investment news, commentary, proprietary research and videos from seasoned journalists, analysts and contributors covering the financial markets and global economies. Leveraging our extensive distribution network and social media presence, we have cultivated a valuable audience of engaged market enthusiasts, which in turn delivers a variety of unique opportunities for industry partnerships, corporate commXunications, market exposure and investment. We are paid cash for this distribution.